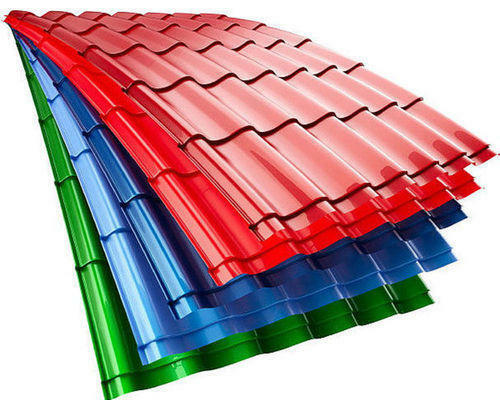 With the help of our technologically advanced machinery, we are able to offer high grade Profile Roofing Sheets that are demanded for various roofing and wall cladding purposes. These are highly flexible, weather resistant and come with superior thermal insulation property. We make available profile roofing sheets in several standards as well as in customized specifications according to client’s requirements. Our company, Pushpak Infrasteel Private Ltd. came into existence in year 2010 and was immediately recognized as one of the finest manufacturers and suppliers of a wide range of roofing material. We were incorporated from our parent company, which was registered in year 1987. We have designed and developed our line of products under the strict quality check. These products include decking sheets, industrial roofing sheets, profile sheets, industrial cladding sheets, galvanized corrugated sheets, industrial ventilation system, color coated accessories, roofing material and purlins. Our products are widely appreciated and demanded for their impeccable features, such as weather resistance, non- breakability, easy installation, corrosion resistance, and longer service life.